Roger Dean Huffstetler is running for the US House from the 5th District of Virginia. He inspires confidence. The 5th District of Virginia was gerrymandered to benefit a Republican. It includes the city of Danville but skirts Roanoke and Lynchburg and stretches on up the largely rural eastern slope of the Blue Ridge to Warrenton. Charlottesville and the University of Virginia is very much in the district. Most observers consider it reliably Republican, but it was represented by blue dog Democrat Virgil Goode for years, who switched parties to Republican and promptly lost to Democratic progressive Tom Perriello in 2008, who in turn lost the seat to a Republican tea partier in 2010. It's been Republican ever since but with a lingering tendency to "swing." We have relatives and friends in the Virginia 5th, in Amherst and Nelson counties (where there's still some very fine moonshine produced). Who is the current Republican incumbent? 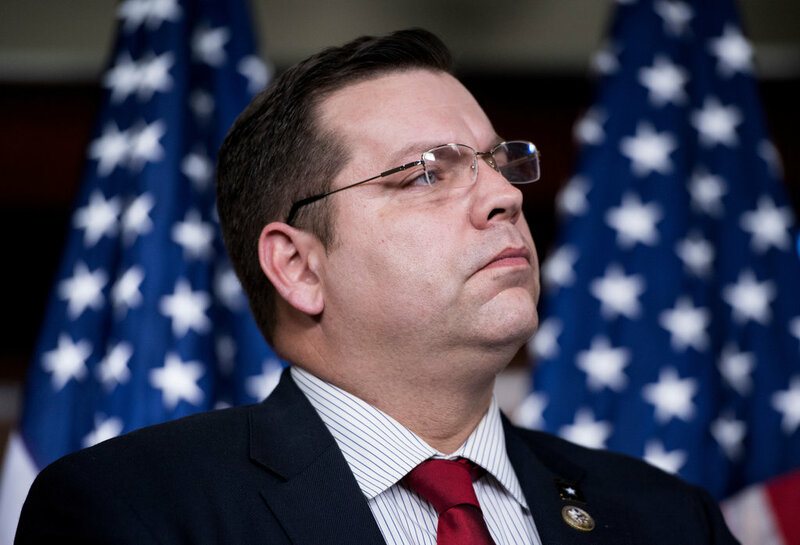 Tom Garrett, a legislator without much of a profile other than being an enthusiastic member of the hard-conservative "freedom caucus," chose to raise his profile in 2017 by meeting with the organizer of the Charlottesville white supremacy rally shortly before that event led to the death of a young woman. Garrett was soon claiming that he didn't know the political identity of the man he met with, but the cat was already out of the bag: Garrett is a coddler of white supremacists, much like the president he wants to be close to. As a freedom caucus member, Garrett is currently joining in on the trashing of the FBI -- the real enemy of the people! -- and helping lay the groundwork that any indictment of the president by the Mueller investigation must be bogus because of a "secret society" of Comey allies (who nevertheless managed to throw the election to Trump by reopening an investigation into Clinton emails just days before the 2016 election. That's one inept secret society!). In other words, Garrett is a conservative tool and an idiot, while Roger Dean Huffstetler is not.